Last edited by DreamensioN; Aug 4th, 2009 at 12:51. 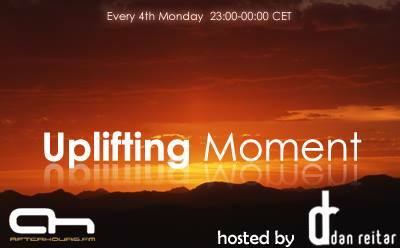 I hope you will enjoy this 14th edition of Uplifting Moment ! Last edited by Dan Reitar; Aug 3rd, 2009 at 00:05.
good evening Dan Reitar ! First one sounds góód ! Hi everybody, what is the name of the last track? Hi danmark_ori, uplift_l0v3r, T-Rance, lordnickon, piccoli & Jiffy Pop !